This is where I will be reviewing some of the books I am reading before, during, and after the trip. 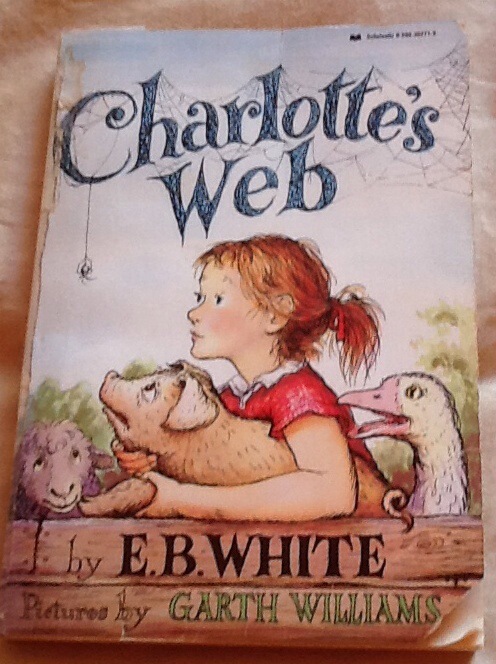 I just finished a book called Charlotte’s Web by E.B. White. I’m sure a lot of you have either read the book or seen the movie before. The story takes place in Homer Zuckerman’s farm where Wilbur, the runt of the group, lives as the only pig in the farm. One day he meets Charlotte, a big grey spider who befriends him. When Wilbur learns that he might be slaughtered for the Christmas feast, Charlotte vows not to let Zuckerman kill her new friend. Templeton the rat also helps out, despite his greediness. Throughout the story Charlotte shows that friendship can be beautiful, even if shared by two unlikely friends. The story between the friendship of Wilbur and Charlotte reminds us that we can be friends with anyone, including people who are not like us. I loved reading this book and recommend it to anyone looking for a good classic! Recently, I finished a book called B at Home: Emma Moves Again by Valérie Besanceney. The book is about a 10-year-old girl named Emma who has moved from the Netherlands to Switzerland, back to the Netherlands and is now moving to Luxembourg. Emma has a teddy bear named B who, though he can’t speak, has lots of thoughts. B is a very rugged, old bear who has been with Emma since she was a baby. Emma is very upset about moving again. She feels like she doesn’t know where home is. She receives a lot of comfort from her friends but still feels upset. When they visit Luxembourg to see their new house and know what life will be like in Luxembourg, Emma meets some of her future classmates. They make her feel comfortable. She starts believing that she will fit right in. I really like this book because it has a lot to do with geography and moving around, and therefore relates to my trip. Like Emma, I have missed my friends this year, but since I know I will be going back to Massachusetts after this trip, I’m not as homesick as Emma was. I recently finished a book called MOMO by Michael Ende. The story is about a young orphan by the name of Momo living in a ruined amphitheater on the outskirts of a city with no known name. Guido (a tour guide who made up interesting history stories), Beppo (an old, kind road sweeper), and all of Momo’s other friends enjoy playing with each other at the amphitheater, making up games and expressing their imaginations. Meanwhile, as the kids are continuously spending their time making up games and playing at the amphitheater, mysterious men in gray are making deals with adults to deposit time into the Timesaving Bank. In order to save time, adults must work faster and waste less time, leaving them busy with no time to spare for their friends and families. The truth is, the men in gray have no intention of giving back the time, but they do steal it. As people keep working faster and longer so they can deposit time, Momo becomes aware of the evil men in gray, she becomes determined to defeat them. She convinces her friends to protest in the streets, but everyone is too busy saving time to pay any attention to them. The men in gray are purely made of stolen time, so if they stopped stealing time they would vanish. But the truth is, they only exist because people buy into the idea that they have to save time in the first place. The men in gray think of time as money, something to save or spend, whereas Momo thinks of time as a beautiful and unique flower. Time is an opportunity to use her imagination, play with her friends, and help other people. In the end, Momo must risk her life to save society from the men in gray. I found the book to be very suspenseful, exciting, and sometimes scary. It is a truly enthralling story that will definitely catch your eye. 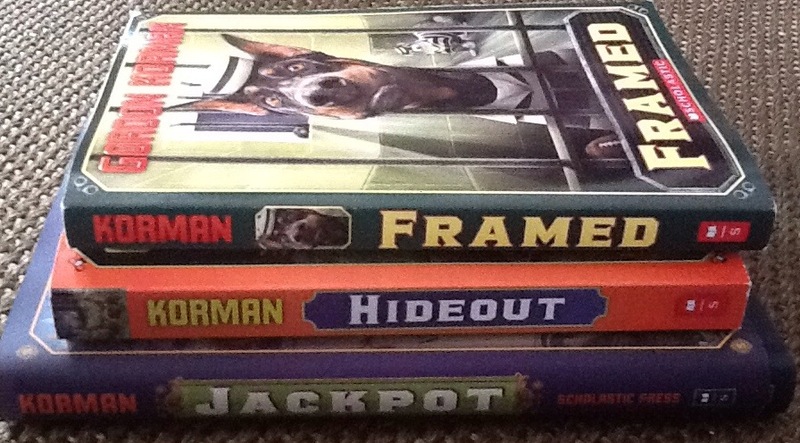 I just finished a book called Schooled by Gordon Korman. The book takes place in and around a place called Garland Farm. Garland Farm is a place that was established in the 1960’s by someone named Rain. The farm was meant to keep families from the outside world and hopefully avoid any harm or danger. Rain’s grandson, Capricorn Anderson, and Rain herself are the only ones left in Garland Farm now. They tend the farm together, they feed the animals together and very rarely leave Garland Farm. One day, Rain falls out of an apple tree and breaks her hip. Capricorn (Cap), growing up in Garland and being able to drive at the age of 14, drives her to the hospital. Rain goes into rehab and cannot homeschool Cap anymore. So Cap attends Claverage Middle School (also known as C Average Middle School). Since he hasn’t yet been exposed to anybody but his grandmother, and hasn’t built up any social competence yet, he does some things that seem weird and sometimes cool to other kids. One time, the school bus driver had a seizure WHILE driving the bus, so Cap sped him to the hospital and saved his life! I really enjoyed reading ‘Schooled’ every night before going to bed. I got kind of connected to all of the characters and always wanted to know what they would do next. This Christmas I got a book called Mr. Terupt Falls Again, the sequel to Because of Mr. Terupt, by Rob Buyea! If you read my book report on Because of Mr. Terupt, then you may be familiar with Mr. Terupt. Mr. Terupt is an awesome middle school teacher at Snow Hill School. The book is from the point of view of a couple of his students (Jessica, Luke, Alexia, Danielle, Peter, Anna, and Jeffrey) as they hit puberty and explain how their teacher helps them with their problems. Mr. Terupt has problems of his own, and the kids try to help him. They all share a very special relationship together. A lot of the content in Mr. Terupt Falls Again refers to events that happened in Because of Mr. Terupt, so I suggest you read the books in order. I really love this series and am hoping that there will be a third book. One of our friends who we met on our trip to Antarctica recommended a book for me called Kensuke’s Kingdom, by Michael Morpurgo! The book takes place technically all around the world but mainly on an almost deserted island, where only orangutans, gibbons, and one other person live. The book is about a boy named Michael, who at the age of 11-12 was sailing around the world with his parents and road-schooling like I am! He had to do a math workbook, take notes about each place he visited, and sketch the wildlife. He also learned how to navigate and use a sextant. Unfortunately, after visiting the coasts of Spain, Cape Verde, Brazil, Capetown, and Australia, Michael falls overboard and ends up on a very mysterious island. He learns how to survive for roughly one year while hoping that his parents will find him. He befriends another human named Kensuke who has been stranded on the island for many years. An amazing story of survival is forged by their friendship. There are some very scary parts, some moments of relief, but no matter what feeling I had while reading the book, I was so excited to read the next page. 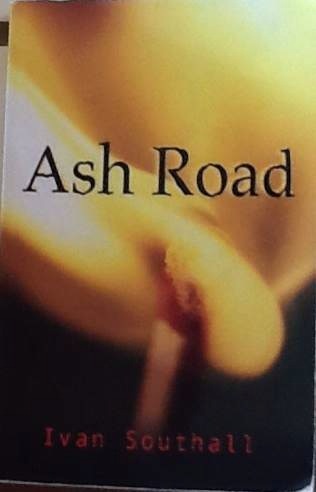 Ash Road is a wonderfully written book by Ivan Southall. The book is about an uncontrollable fire frightening many small townships in the dry bush of Australia. The story starts with three teenage boys who take a week off from school, parents, and everything else and decide to go out into the bush. While camping they accidentally start a fire. Luckily, they escape before they get trapped, but the fire spreads really quickly. The fire threatens the small town of Prescott. While the people in the towns closer to the fire than Prescott leave their burning homes and firemen (some of whom are volunteers) struggle to contain the fire, the residents of Prescott remain confused. Some people can’t afford to evacuate or they don’t want to evacuate. People get angry at one another, fret, and get ready to evacuate their neighborhood. Pippa, Stevie, Peter, and many other kids who live in Prescott have to tough through problems, disputes, and stick together. Fortunately, everyone is safe after the humbling fire passes through🔥💥🔥. While I was in Australia, I learned that wildfires are a frequent danger. This is why we couldn’t have campfires at most of our campsites. This book taught me what people can do in case of a wildfire. The book gets off to a slow start, and sometimes the actions are stretched out. If you like survival stories, then this is a good one for you. It’s also an exceptional book for people looking to expand their vocabulary because it uses very sophisticated wording. 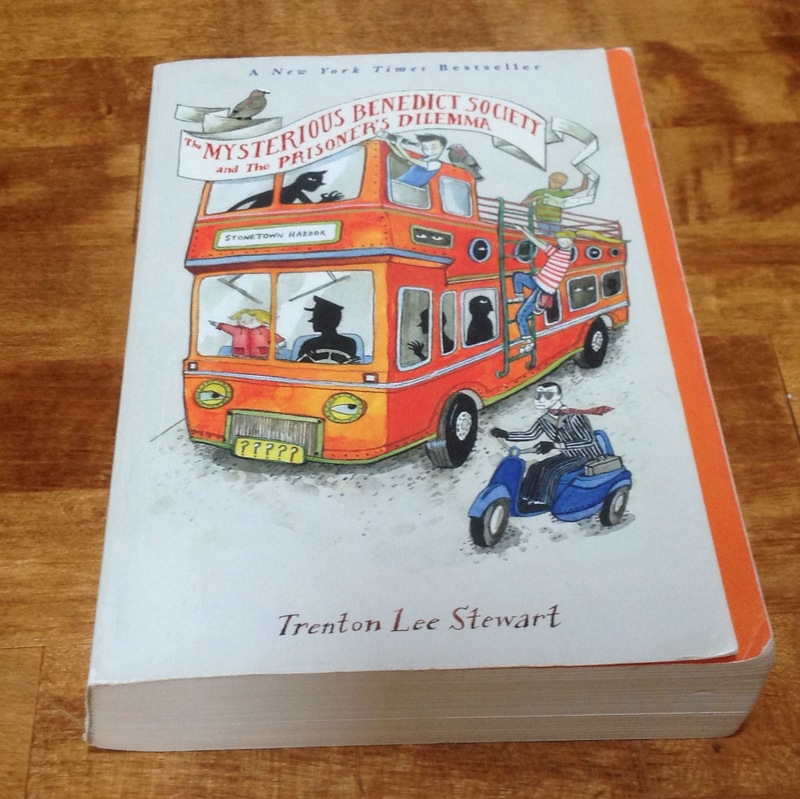 The Mysterious Benedict Society and the Prisoner’s Dilemma, by Trenton Lee Stewart, is a very suspenseful book that has a very sophisticated and large variety of words. In fact, I am keeping a list of good vocabulary words that I have found in the novel. I will send you a copy if you request it! The book is about four extraordinary children — Constance, Kate, Reynie, and Sticky — attempting to defeat their treacherous enemy Mr. Curtain once and for all. The foursome have battled Ledroptha Curtain in previous books but have never defeated him and his minions. Will they be successful or will they FAIL? In the novel, their success depends on teamwork and if one person refuses to to do their job, a whole scheme could fall apart. Each of the children has a special ability — for example, Kate’s athleticism, Reynie’s planning skills, Sticky’s photographic memory, and Constance’s … well, I’ll leave that one for you to discover when you read the book. The story is also about how true friends make sacrifices for each other. 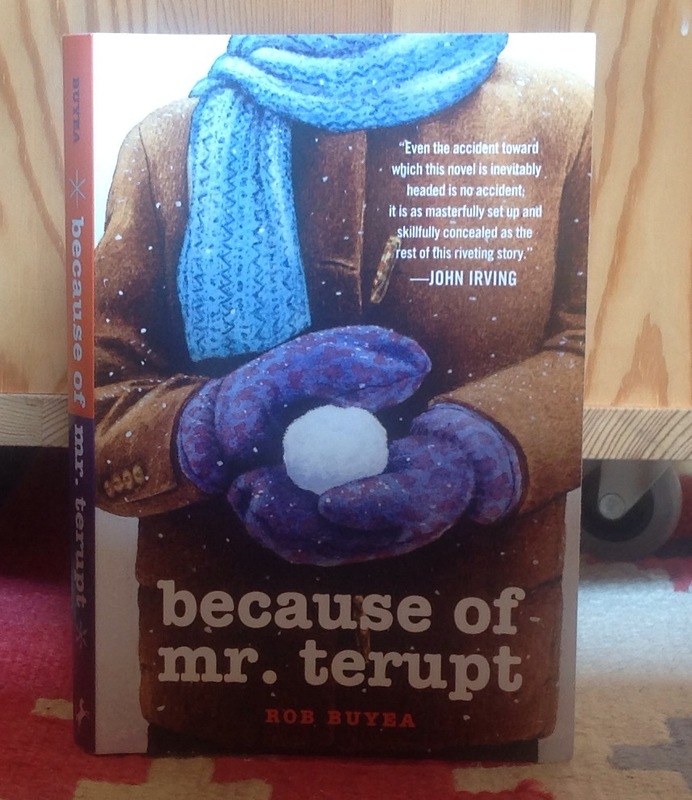 Because of Mr. Terupt, Rob Buyea’s outsanding novel about a teacher named Mr. Terupt, gives you the notes and views from seven of Mr. T’s students: Jessica, Alexia, Peter, Luke, Danielle, Anna, and Jeffrey. Mr. Terupt is different from other teachers. He gives the kids special projects, like estimating the number of blades of grass on the soccer field or participating in the Collaborative Classroom with kids who have a range of special needs. He lets the students be kids and whenever he sees them getting into a little bit of trouble, he doesn’t yell at them. He lets them work it out for themselves. He also tells them the truth, even when they don’t want to hear it. He helps them work together as a group and as individuals. The students all like the way Mr. Terupt acts and responds to things in the class, until one day a tragedy takes place. Everybody’s emotions towards class change. It is amazing how one decision changed the rest of the school year. Many people blamed it on themselves, even though they kept telling one another that it was not their fault. There is a lesson in here about having a good sense of responsibility, as an individual and as a member of a class. It was a very suspenseful book that kept me flipping the pages📚. Ivan, a silverback gorilla who is supposed to be the leader of a troop of gorillas in the wild, instead finds himself locked in a cage in the Bigtop Mall and Video Arcade, conveniently located on Route 95. Ivan is the main attraction, which is why he was brought and kept there. His friends, including two elephants named Stella and Ruby, a dog named Bob, and a girl named Julia, keep him company. Luckily, Julia introduced Ivan to art and it was through art that Ivan was able to break free from captivity. 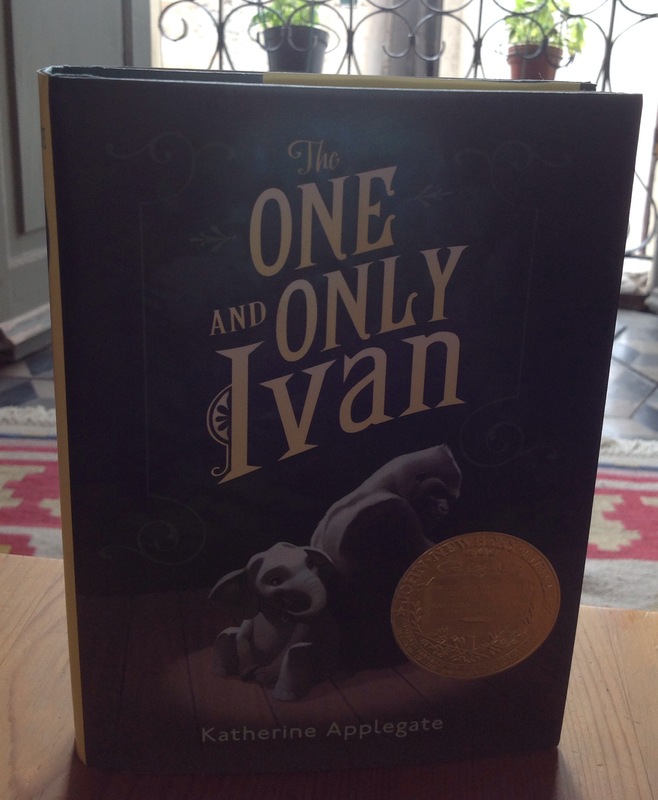 Some people might call The One and Only Ivan a sad book, but I felt intrigued to read more every night. I felt bad for Ivan at the beginning of the story because he was just a poor gorilla sitting in animal jail, waiting for something to happen. By the end, I felt glad that Ivan found a way to communicate with Julia. I don’t want to give away the ending, but if you read this book you may have mixed emotions like I did🎭. 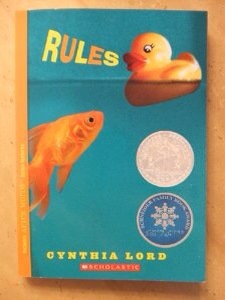 Last week I finished Rules by Cynthia Lord. The main characters are Catherine and her brother, David. The book has many details revolving around the fact that Catherine’s brother has autism. When summer comes and school’s out Catherine’s old neighbor moves away. She tells Catherine that a girl her age would be moving in. After that, David’s clinic (where he goes for his therapy classes) starts up again and, as she does every summer, Catherine tags along with David and her mother. She meets a boy there named Jason. Jason cannot speak nor walk, so he has a communication book on a wheelchair with words in it. New friends and summer vacation, what could possibly go wrong? Well, without giving too much away, I can tell you that Kristi, Catherine’s new neighbor, becomes friends with her and her arch enemy, Ryan. Kristi finds out about Jason and thinks that Catherine’s his girlfriend. She says that she’s helping out at the community center dance and that Catherine could come with Jason. But Jason’s birthday party is the same day as the dance, and that is where it all starts to fall apart. Now what will happen with her relationships? I learned that you shouldn’t try to be someone else in a relationship, but rather be yourself. 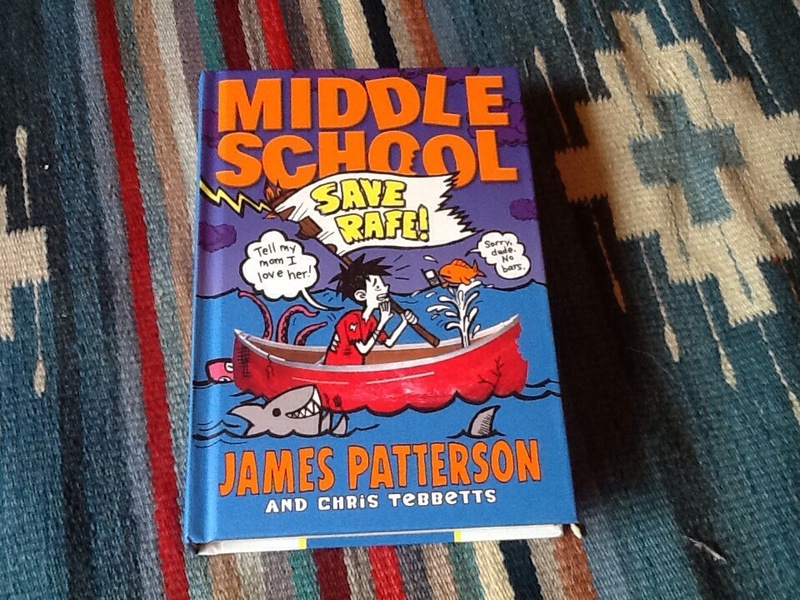 About a week ago I finished the 6th book in the Middle School series by James Patterson📖. I haven’t actually read the previous books in the series. It was a birthday present. I really enjoyed the book and was quite impressed with the humor and illustrations. The series is about a preteen named Rafe Khatchadorian having to go through some unusual life struggles. For example, he had to go to a survival camp for a week in order to be able to apply to a middle school that he didn’t even want to attend. But since Rafe’s previous school had closed down, this school was his last resort. Unfortunately for Rafe, it was also the last resort for some juvenile delinquents who were trying to apply as well. My favorite part of book six was when the group of kids went white water rafting on the Mighty Arkansas. I enjoyed reading about funny events happening to a kid like Rafe! 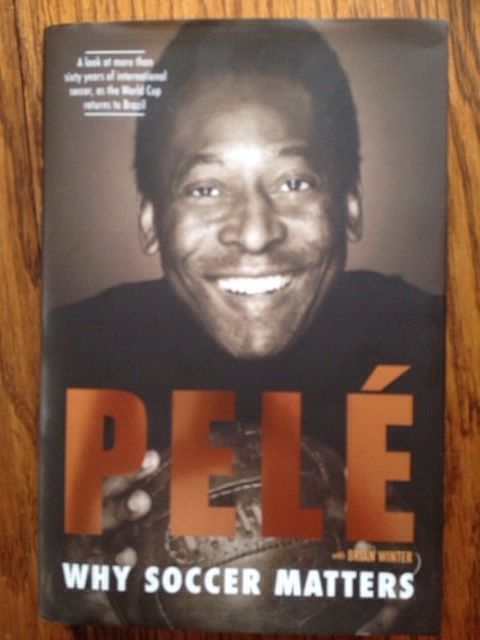 Today my Dad and I finished reading Pelé’s new book Why Soccer Matters. It talks about how soccer is pretty much one thing that brings people together no matter their favorite team, race, their religion, or anything about them. It also informed the reader about Pelé’s personal life. It’s a very interesting book and very well written. My favorite part was probably when he went into description about the action in the games he played. It was fun reading about past World Cup tournaments while also watching the 2014 FIFA World Cup in Brazil. Under a month before leaving, and I have 1 book left in the Swindle series. The series is unbelievably captivating featuring an abusive dog owner, an unbreakable relationship between dog and girl, and five other unpredictable children with truly amazing talents and abilities. The “slimy” S. Wendell Palomino cheats Griffin (aka The Man With The Plan) and Ben (Griffin’s friend) out of a rare baseball card that is worth nearly one million dollars. The effect? A lifelong rivalry and a good book series!